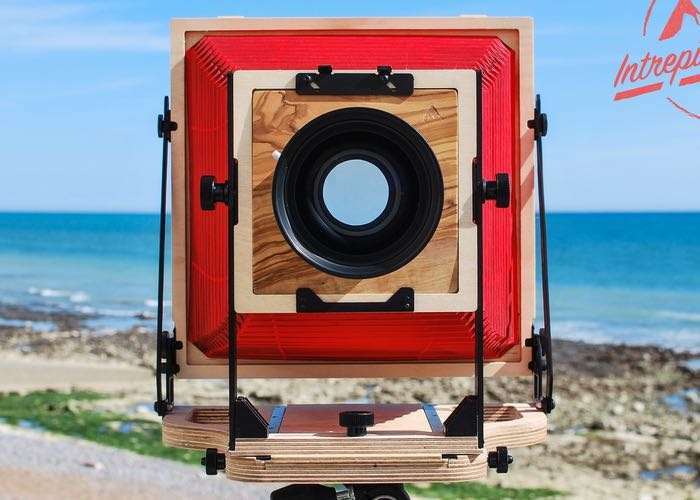 The Intrepid Camera Company located in the UK has this week unveiled a new large format camera they have created in the form of the Intrepid 8 x 10, which has been specifically designed to provide a high quality super lightweight affordable large format camera. Watch the video below to learn more about the Intrepid camera which has already raised over £100,000 via Kickstarter with still 29 days remaining on its campaign. Intrepid Camera Co. has been designing and producing Large Format Cameras for the last three years. But with over 1000 cameras shipped to happy customers, we set our sights on something a little bigger. Introducing the Intrepid 8×10, the most affordable and lightest production 8×10 Camera ever. Not sure what an 8×10 camera is? Simple: they are large analogue film cameras that allow you to have complete control over the camera and shoot onto massive sheets of film. The Intrepid 8×10 takes everything we have learnt from our other large format cameras and refines it into the best camera we have ever made; a simple, beautiful and fully functional field camera, all for an amazing price. At Intrepid Camera Co. we genuinely care about the future of large format photography, a future that is dependent on people getting involved and having access to this incredible form of photography. That’s why we do what we do – and it’s what motivates us to keep innovating. Pledges for the Intrepid large format cameras start at an affordable £480 and shipping is expected to take place during September 2017. Follow the link below for more information.